Determining if your business is ready to be sold is not uncommon but getting to that point might be easier said than done. The reason why it isn’t that easy is you will need to figure out the value and find a buyer. Next, you will need to determine whether to sell your business yourself or to engage a business broker to do it for you? Selling your own business can be extremely challenging as it requires a special set of skills and resources in valuation, advertising, negotiation, and sales. Not to mention, you will need to do this while you are still handling the ongoing demands of running your business. The biggest error you can make is neglecting your business during this process and not being able to present a vibrant and successful company in order to negotiate the best deal. Please keep in mind that people are going to talk about your company with the hint of a possible sale and it is absolutely vital to consider your communication position when marketing your company for sale. Explore your competitors, customers, friends, family and industry professionals. Speak to your attorney or accountant because they typically have lots of resources and contacts that could be in the market to purchase a business. How exactly do you qualify your buyers? Chances are the advertisements that you do use will get non-qualified buyers. You will want to use a proven qualifying process to better understand if the buyer is capable of purchasing your company or capable of wasting your valuable time and resources. Anytime you divulge information about your business you must obtain a signed Confidentiality Agreement before supplying private financial records to any potential buyer. Now the fun begins…… Once your buyer is overly satisfied with analyzing your financial statements and structure of the business, they are probably going to want to talk with you about your price. Use the following to help you make a solid decision. What is your final offer or what will it take you to stop negotiating? Do not shortcut this process! Hire a qualified attorney who specializes in sales of businesses. You will need to inform them of every aspect of the deal to prevent any misunderstandings. To minimize the occurrence of any problems and to ensure the sale is valid, you will definitely need to involve a professional. You may even want to prepare a memorandum of understanding with the potential buyer and present this to the attorney for the drafting of the agreement. Even though you have agreed on what you want, getting attorneys involved can make deals more challenging and further negotiations might need to occur. 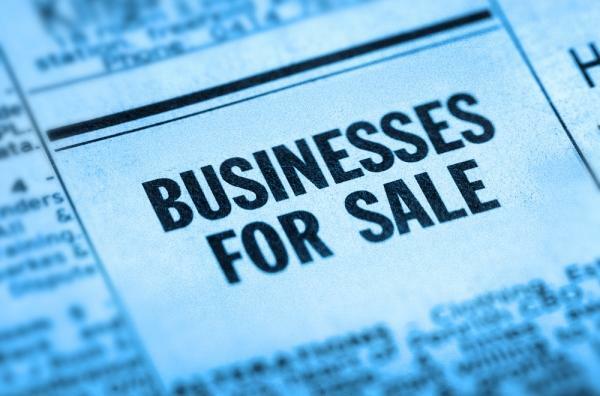 Is your business ready to be sold? Contact me today to learn more about how I can help you with this process and if there are any other subjects you would like me to discuss in the future, please let me know!